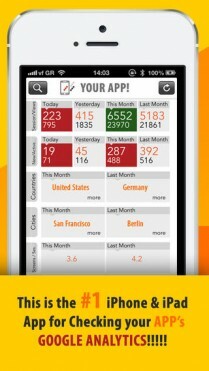 Appstats is an iPhone and iPad Application which provides you with the Google Analytics that Matter for your APPS. Appstats presents many important metrics in 1 screen (dashboard) and uses color coding in “Today’s” & “Yesterday’s” views in order to help you instantly understand when you’ve done better than yesterday. 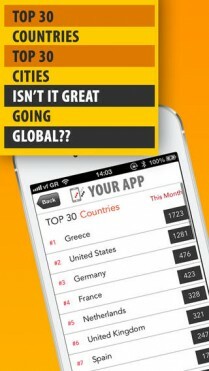 The #1 iPhone & iPad Applications for Monitoring your App’s Google Analytics!!! Provides “Today’s” & “Yesterday’s” New Users as well as “This Month’s” & “Last Month’s” New Users. Provides “Today’s” & “Yesterday’s” ACTIVE Users as well as “This Month’s” & “Last Month’s” ACTIVE Users. Provides “Today’s” & “Yesterday’s” Sessions as well as “This Month’s” & “Last Month’s” Sessions. Provides “Today’s” & “Yesterday’s” Views as well as “This Month’s” & “Last Month’s” Views. WARNING!! 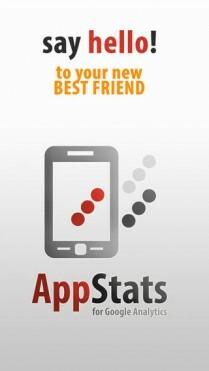 This APP will show you the Google Analytics of your ***APPS*** and NOT your Websites. 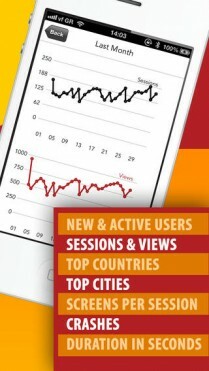 You need a Google Analytics account to use AppStats!